Personalized Football Earrings $7.99 With Free Shipping! What a cute gift idea for a football fan. You can get these Personalized Football Earrings for only $7.99 right now on Jane. They are even offering to ship them for free. You get to choose the colors and number. I love when you can give such a personalized gift for a low price. Our team laser engraved and cut out designs in wood. 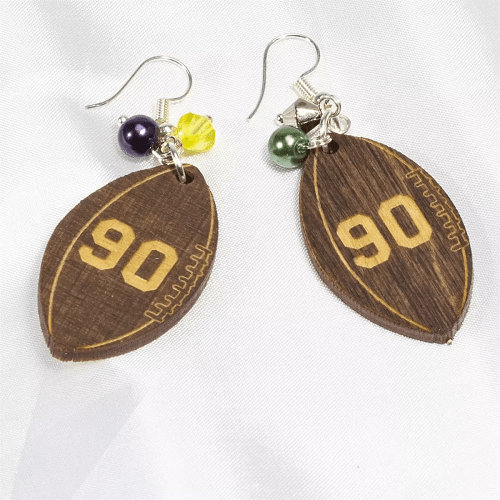 Get these one of a kind earrings with your favorite team’s colors and your favorite player’s number on it.